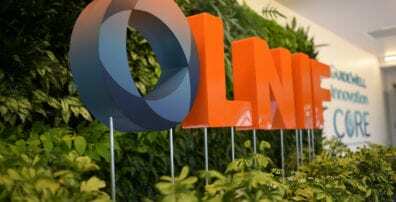 (Lake Nona, Orlando, Fla; Feb. 14, 2019) – More than 250 of the nation’s leading health care entrepreneurs and innovators, academics, government officials, cultural ambassadors, sports figures and other thought leaders will explore, discuss and develop solutions to improve global approaches to enhancing wellbeing and health at the 2019 Lake Nona Impact Forum held Feb. 20-22 in Lake Nona, Orlando, Fla. The forum, which echoes the vision of Lake Nona, a well-regarded, forward-thinking wellness community, will feature a series of in-depth, collaborative discussions about innovative approaches to health and wellbeing, including identifying the ways that music and art can impact and improve brain health, how innovations from space are leading to health and human performance on earth and how virtual reality and augmented reality can positively impact mental wellbeing. Opera star and soprano Renée Fleming, entrepreneur Steve Case, world-renowned pioneer in integrative medicine and personal transformation Deepak Chopra, seven-time NBA All-Star Grant Hill along with some of the nation’s foremost health and wellbeing leaders will be among the panelists at the conference. 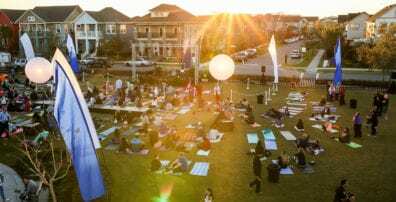 The Lake Nona Impact Forum, in its seventh year, is held in Lake Nona, one of the fastest-growing communities in the United States and one at the forefront of wellbeing and health. The three-day symposium is an invitation-only event set in Lake Nona. Recognized by the Global Wellness Institute, Lake Nona is a 17-square-mile integrated, master-planned community home to an innovative health and life sciences cluster and a model for the design of a wellbeing community. 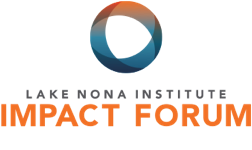 Lake Nona’s nonprofit, community-focused organization that leads its wellbeing community initiatives, known as the Lake Nona Institute, hosts the Impact Forum each year. Lake Nona Institute incubates, activates and measures the impact of innovative technologies and programs used in Lake Nona so they can become global models for building healthy, sustainable, and inspired communities. The Institute’s current projects include a longitudinal study founded by Johnson & Johnson known as the Lake Nona Life Project and the development of WHIT, a model for the future of healthy homes. As stewards of healthy living, Lake Nona is committed to hosting the Impact Forum and leading the conversation for building the wellbeing ecosystem of the future. The event is a think-and-do tank where novel ideas are not only discussed, but can be tested and explored within the Lake Nona community. 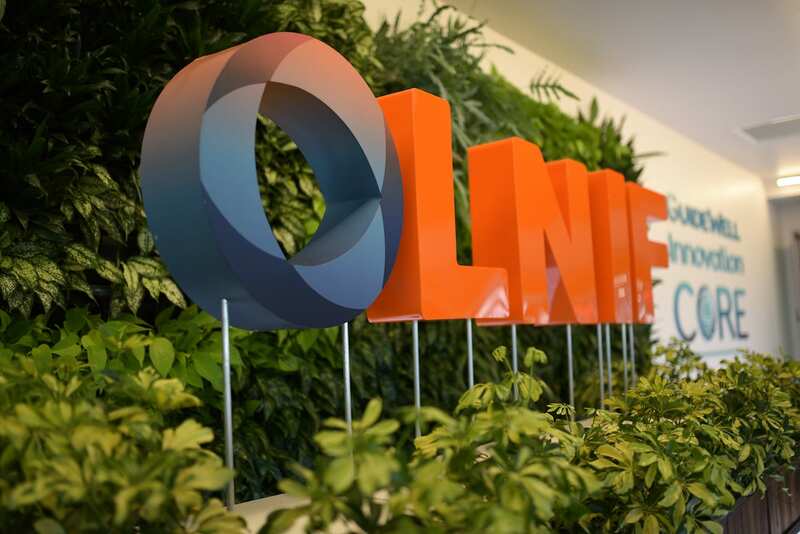 To help develop innovative solutions to challenges in achieving optimum health and related technology, the 2019 Lake Nona Impact Forum is hosted at the health and life sciences cluster of Lake Nona Medical City. Impact Forum host venues include the University of Central Florida College of Medicine, the University of Florida Research and Academic Center, and the GuideWell Innovation Center. The 2019 Lake Nona Impact Forum is presented by Johnson & Johnson, KPMG, GuideWell Innovation, Technogym, Integrated Wellness Partners, AdventHealth, Citibank, Tavistock Foundation, Edyth Bush Charitable Foundation, HCA Healthcare, Nemours Children’s Health System, UCF College of Medicine, University of Florida Health, USTA, Cisco, PepsiCo, Siemens Medical Solutions USA, Dr. Phillips Foundation, Bioclinica Research (Compass Research), Visit Orlando, Tavistock Life Sciences, City of Orlando, OUC, Broad and Cassel, Solid Biosciences, HKS, Akerman & Senterfitt, Alston & Bird, Balfour Beatty, Coastal Construction, Moss & Associates, Orange County Government, SleepScore Labs, Sharecare, and BEEP. To learn more about the Lake Nona Impact Forum and the Lake Nona Institute, visit www.LakeNonaImpactForum.org and www.LakeNonaInstitute.org. Follow along with the Impact Forum on Twitter and Instagram at @LN_ Institute and at Facebook.com/LakeNonaInstitute. You can also join the conversation online using the hashtag #LNIF19. Lake Nona Institute is a nonprofit, community-focused organization that incubates, activates and measures the impact of innovative technologies and programs that can become global models for building healthy, sustainable and inspired communities. The Institute focuses on programs based on: Health & Wellness, Education and Sustainability. At its core, Lake Nona Institute believes that individuals in the social context of a community can and do have a profound impact on wellness, education and sustainability. Orlando’s Lake Nona is one of the fastest-growing communities in America with more than 10 million square feet of world-class residential and commercial facilities. Adjacent to Orlando International Airport, the large-scale, master-designed community is home to thoughtfully designed neighborhoods, world-class education facilities, a Health & Life Sciences Cluster, a Sports & Performance District highlighted by USTA’s Home of American Tennis – the largest tennis facility in the world, diverse work spaces, recreational facilities, retail centers, and entertainment venues encompassing the best Orlando has to offer with all the conveniences of a dynamic, vibrant community. Driven by a long-term vision, Lake Nona is committed to building an innovative community that inspires human potential whilst being focused on sustainable design, healthy living, and groundbreaking gigabit fiber optic technology.